Many times good surface preparations require grinding. We grind out spalling masonry to expose rusted metal embedded into the concrete. Then we grind off rust and metal slag before painting. 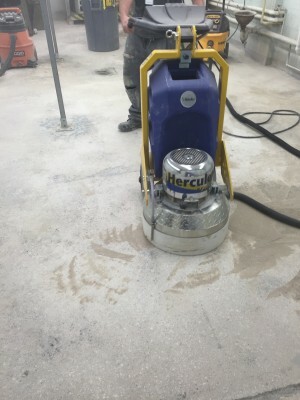 Floor grinders can grind floors and walls to prepare for epoxy floor coatings and waterproofing systems. 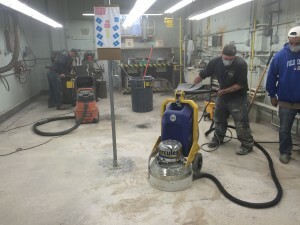 Grinding also helps most solutions to adhere to the surface to which they are being applied. Contact us today for a FREE quote! 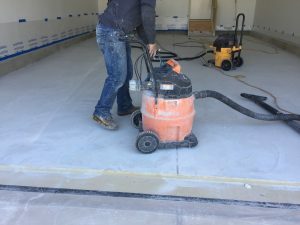 Grinding a garage floor to prep for seamless floor coating.